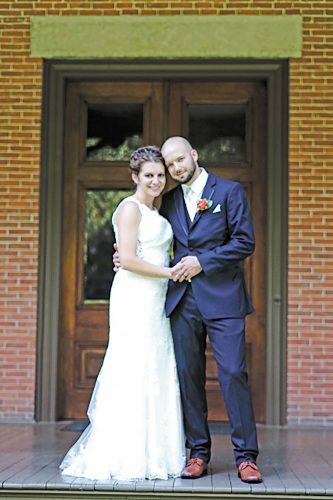 Amber Eloise Weaver and Michael Timothy Feehan exchanged wedding vows at 1:30 p.m. Sept. 19, 2015, during a full Mass at St. Peter Catholic Church in Alvada. The Rev. Mark Weaver, uncle of the bride, was the officiant during the double-ring ceremony, with Deacon Lewis Reinhart, grandfather of the bride, assisting. 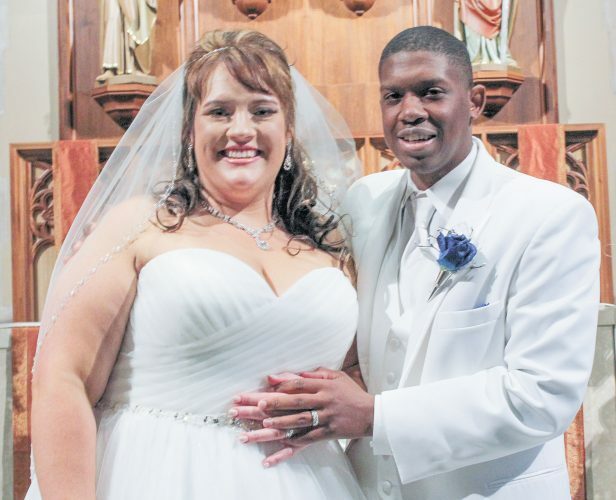 A reception followed the ceremony at Stacy’s Place in Fostoria. The bride is the daughter of Joe and Brenda Weaver of Carey. The groom is the son of Dennis and Catherine Feehan of Findlay. The bride, given in marriage by her mother and father, wore a diamond white taffeta ballgown with pickups and detailed crystal beading. The dress had a sweetheart neckline with beaded cap sleeves, as well as a lace-up, corset-style back and a chapel train. Her veil was fingertip length and lightly beaded around the edges. She carried a bouquet of burgundy and ivory roses, with accents of silver baby’s breath and a handle wrapped in silver ribbon and rhinestones. The bridesmaids wore floor-length burgundy taffeta dresses, with sweetheart necklines and cap sleeves. They carried bouquets of ivory roses, with accents of burgundy roses and silver baby’s breath tied with silver ribbon. The flower girl wore an off-white taffeta ball gown with pickups. 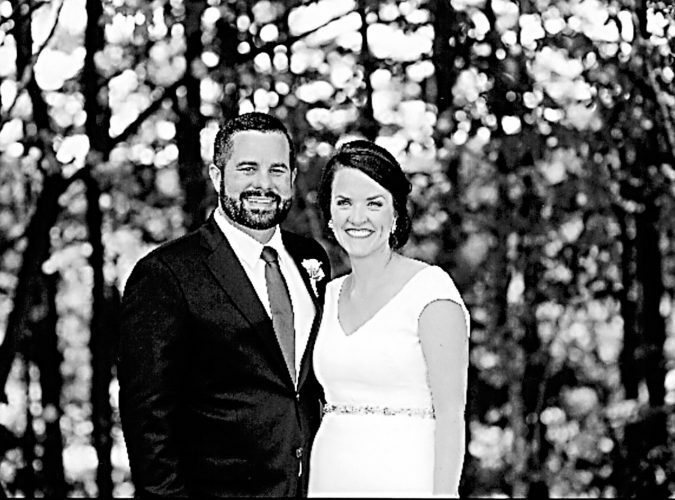 Rachel Reinhart of New Riegel, cousin of the bride, served as the maid of honor. Bridesmaids included Caitlin Feehan of Findlay, sister of the groom; Tricia Stansberry of Upper Sandusky, friend of the bride; Sarah Reinhart of Kaneohe, Hawaii, cousin of the bride; and Nikki Kimmet of Kettering, friend of the bride. Catie Reinhart of Alvada, friend of the bride, was junior bridesmaid. Zoe Johnson of Kansas, cousin of the bride, was flower girl and Weston Nye of Tiffin, friend of the groom, was ring bearer. Jacob Maag of Findlay, friend of the groom, served as the best man. Groomsmen included Kyle Weaver of Carey, brother of the bride; Joe Coppus of Atlanta, Georgia, cousin of the groom; Roger Swanson of North Canton, cousin of the groom; and Shayne Smalley of Findlay, friend of the groom. 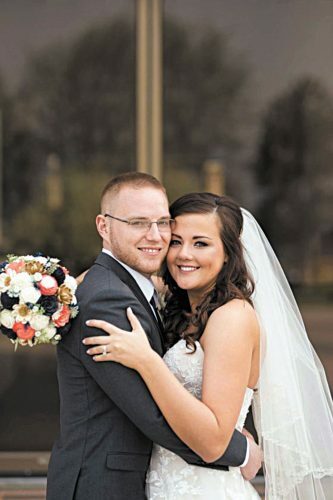 The bride, a 2010 graduate of New Riegel High School, graduated from Ashland University in 2013 with a degree in psychology, and then graduated from Kent State University in 2015 with a master’s degree in higher education administration. She is employed as a graduate admissions counselor at The University of Findlay. The groom graduated in 2009 from Liberty Benton High School. He is employed as a panel line operator at Whirlpool Corp. in Findlay. 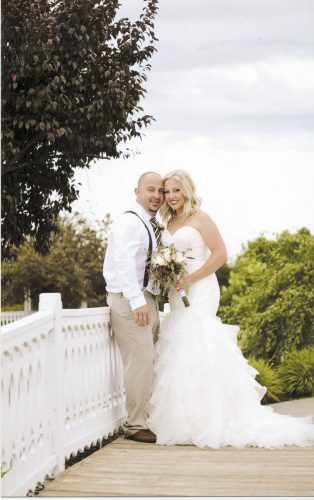 Their rehearsal dinner was Sept. 18 at Moreno’s in Carey. The couple resides in their new home at 13 S. CR 7, Tiffin, following a honeymoon to St. Pete Beach and Orlando, Florida, directly following their wedding.